Straw color. Aromas of sour peach, honeysuckle, eucalyptus, pink grapefruit cordial, and fresh cut grass with a supple, vibrant, dry-yet-fruity light body and a polished, captivating, medium-length limestone, sea salt, lemon spritz, and passion fruit scone finish with no oak flavor. A zingy, refreshing, mineral-forward wine for Sauvignon Blanc lovers. 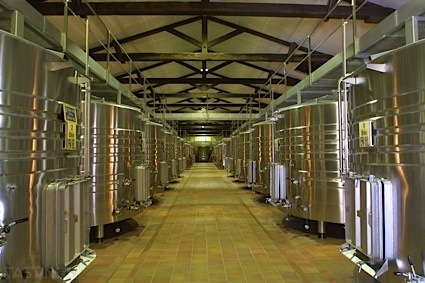 Bottom Line: A zingy, refreshing, mineral-forward wine for Sauvignon Blanc lovers. 91 • White Horse Winery 2017 Rosé, Outer Coastal Plain 13% (USA) $18.00. 93 • White Horse Winery 2017 Estate, Vidal Blanc, Outer Coastal Plain 12.8% (USA) $37.00. 85 • White Horse Winery 2017 Estate Barrel Fermented, Chardonnay, Outer Coastal Plain 12.9% (USA) $37.00. 86 • White Horse Winery 2017 Estate, Chambourcin, Outer Coastal Plain 13.1% (USA) $18.00. 88 • White Horse Winery 2016 Estate Barrel Fermented, Chardonnay, Outer Coastal Plain 12.2% (USA) $39.00. 87 • White Horse Winery 2016 Estate, Chambourcin, Outer Coastal Plain 12.5% (USA) $18.00. 89 • White Horse Winery 2016 Estate Rosé, American 12.7% (USA) $18.00. 93 • White Horse Winery 2017 Barrel Fermented Vidal Blanc, Outer Coastal Plain 12.8% (USA) $37.00. 92 • White Horse Winery 2016 Reserve, Cabernet Franc, American 13.6% (USA) $39.00. 87 • White Horse Winery 2016 Vintner’s Red Blend, American 13.5% (USA) $24.00. 92 • White Horse Winery 2016 Reserve, Merlot, American 13.8% (USA) $34.00. Vidal Blanc is a French hybrid grape found in New York State and Canada. Developed in the 1930s, it is ideal in these territories, as the vine can withstand hash winters. Its most famous use is as an ice wine, produced in Ontario. 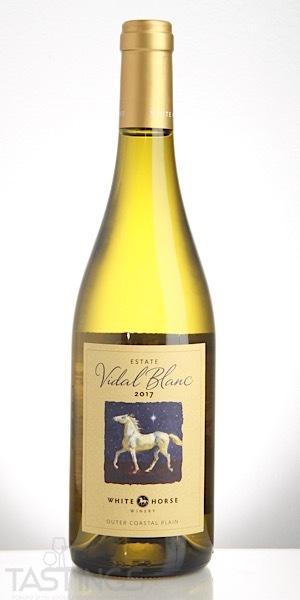 White Horse Winery 2017 Barrel Fermented Vidal Blanc, Outer Coastal Plain rating was calculated by tastings.com to be 93 points out of 100 on 7/10/2018. Please note that MSRP may have changed since the date of our review.